We deal in all type of strapping accessories like strapping dispneser, strapping cutter, stretch wrapping dispenser, BOPP Tape dispenser etc. A flourishing enterprise in this domain, engaged in presenting a wide range of Strapping Roll Dispenser. The offered dispenser is developed using quality iron alloy and modern physics. This dispenser has a well balanced puller and lever. The operator friendly process and high load and unloading bearing capacity makes it demanded largely from industry. Our professionals manufacture the dispenser adhering to quality industry standards. Apart from this, the provided dispenser is made available at industry leading rates. Pioneer in the industry, we are engaged in presenting an impeccable range of Strapping Cutter. The offered cutter is used in various kinds of mechanical and automobile industry. This cutter helps in cutting the cable and wires. Our professionals manufacture the cutter by adhering to industry standards and applying modern sciences. Also, our quality controllers opt for strict quality inspection before dispatching the cutter to the clients. Apart from this, clients can get the cutter availed from us at industry leading rates. 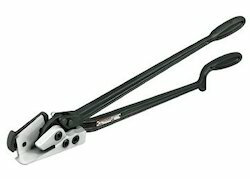 We offer premier quality Strap Cutter tool, which is acknowledged for construction, functionality and durable work life. These tools are used to cut tensioned strap of up to 1 1/4” x.035” (32mm x 0.88mm). Herein, the stand to one side of the strap is being cut and cutter is strap is held by the cutter against the package. Furthermore, we recommend to keep a distance from possible flying strap ends for safety reasons. 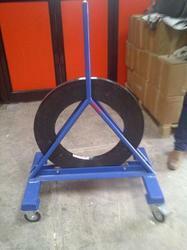 Our organization is widely acclaimed as provider of Steel Strapping Dispensers to our clients. These dispensers are used for efficient strapping. These are operational by means of automatic mechanism. These are equipped with coil of mill wound and coil of ribbon material. These dispensers are able to work in the best manner. These make strap off easy and also act as strap overrun brake system. These have robust construction and are able to operate in hassle free manner. These dispensers have ergonomic design and are offered in the best range. We provide high quality YBICO 3 in 1 strapping dispenser. This dispenser is ideal for PET Strap, steel strap & polyester lashing strap. 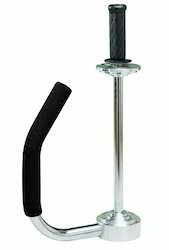 Rugged rubber stopper with brakes is ideal for dispensing limited amount of straps. 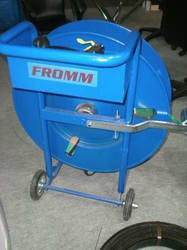 Heavy duty tray can sustain upto 8Kg of Tool load. With the excellent support of our brilliant professionals, we are engaged in presenting Ybico Cutter. 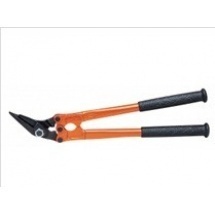 This cutter is manufactured using quality stainless steel and iron alloys. The manual system installed in the cutter offers it quite good capacity to pull and cut operation. Our professional manufactures the cutter adhering to industry standards. Furthermore, the high strength and high load cutting capacity makes the cutter appropriate for various industrial sectors and warehouses. High carbon steel drop forged. Steel strap cutter for up to 2” x .035”. Looking for Strapping Accessories ?